On her debut novel, Conversations with Friends, a book that's emerged as a word-of-mouth sensation amongst actual friends. 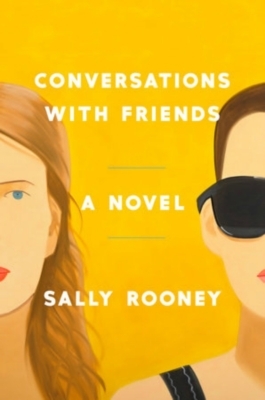 Irish author Sally Rooney’s debut, Conversations with Friends, was my favorite book of 2017 (that I didn’t actually read until earlier this year). It came to me by word of mouth, something that doesn’t happen so often these days. The novel follows two female college-aged friends and former lovers Frances and Bobbi as their lives entangle with those of an alluring older couple. Told from Frances’s point of view, much of the story unfolds in conversations between the characters in the myriad ways we communicate today — IRL, over text, over email, written letters, and in our heads, to no one in particular. Through these conversations, Frances, Bobbi, and their new friends consider the life of the artist, matters of class, relationships, morality, and more — all with a tone that feels realistic, familiar, and fresh at the same time. 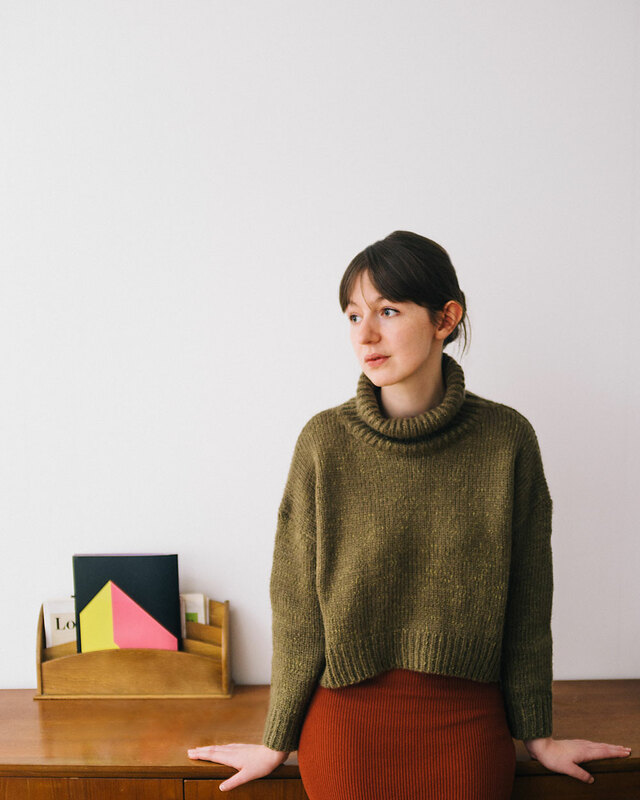 We talked to Rooney, who was recently shortlisted for the Kerry Group Irish Novel of the Year Award, about writing the novel, the importance of “morally ambiguous” characters, and what’s next. Do you remember the first thing you ever wrote and liked? What about it let you know that you were moving in the right direction? The first thing I ever wrote and liked was a story called “Honeybee,” which I wrote when I was about eighteen or nineteen. The plot revolved around a family of four sisters growing up in a house by the sea. Like most of the fiction I wrote then, “Honeybee” was extremely vague as to setting — it didn’t seem to be set in any particular country or indeed decade. But there was something interesting about the relationships between those sisters. They felt like real people to me. I still think about them sometimes. When did you know that Conversations with Friends would become a book? How did the publishing deal come together? I sent the manuscript to my agent at the end of March 2016 — I think it was the 17th of March, St. Patrick’s Day, because I remember walking to a friend’s apartment along the quays that day and the parade must have been on in town. I had been working on the book for what felt quite a long time by then, although really it was just over a year. I suppose I’d never spent so long working on a single piece of fiction before. The publishing side of things moved very quickly after that — within a few weeks there were publishers making offers on the manuscript, and I realized it really was going to be a book, and my life was going to change suddenly. The relationship between Bobbi and Frances very astutely highlights the subtle highs and lows of a close friendship. Did you have a foundational friendship like theirs when you were growing up? Or was there maybe an existing literary one that you had in mind while you were writing? I didn’t have many very intense friendships in my teenage years, but I did have in college and I suppose I still do now. My own friendships are by and large a lot more stable than the ones in the novel, though. I think there are two reasons for that: firstly, I find stable relationships hard to dramatize, and secondly, Frances and Bobbi are not only friends but also ex-girlfriends, which makes their relationship especially charged. Something that’s so memorable about Conversations with Friends is the dialogue, which is split between IRL conversations and conversations over e-mail and text and feels very real and true-to-life. Did actual conversations inspire any of the dialogue in the book? Do you keep track of ideas for dialogue as they come to you, or do they all kind of spill out in the writing process? I have never knowingly taken a line of dialogue from real life, though I’m sure I have done it unknowingly. I think for me dialogue is a way of working through the dynamics between characters, exploring their relationships and playing with the power dynamics that emerge when they get on the page together. So from that perspective I don’t think it would be helpful for me to keep a notebook at hand during real-life conversations. Dialogue only works for me insofar as it seems to originate from the characters themselves, from things they are trying to express or to keep from expressing. On the topic of dialogue, it seems like you made a conscious decision not to use quotation marks — why was that? Were there other “rules” you purposely avoided following? In my first draft I used em-dashes to introduce dialogue, but then in later drafts I began to notice how much dialogue was contained inside longer paragraphs, undifferentiated from the narrative. I decided it didn’t really make sense to introduce some dialogue with dashes and some without, so I used Cmd+F and deleted every em-dash in the manuscript. That was one of the last changes I made before sending it away. I can’t remember ever really using quotation marks – I don’t see any need for them, and I don’t understand the function they perform in a novel, marking off some particular pieces of the text as quotations. I mean, it’s a novel written in the first person, isn’t it all a quotation? There’s a passage near the beginning of the book in which Bobbi calls the male characters in Frances’ poetry “horrible… at best morally ambiguous.” It could be said that the main characters in Conversations with Friends are “morally ambiguous,” too — was that something that you were thinking about while writing it? Yes, I think Frances replies to Bobbi’s remark by asking: Aren’t we all? And of course, we all are, in one way or another. I think for the novel to work as a form it requires some moral ambiguity to grease the wheels, really. I don’t know if Frances and the gang are any worse than the protagonists of other novels. In fact I’m not convinced they’re any worse than I am. When it comes to questions of serious moral horror, ideas of evil and so on, that’s not something that interests me as a novelist. For all their obvious foibles, the characters in Conversations with Friends don’t strike me as truly evil — just foolish, which is something they have in common with their author. Do you have a strict writing practice you adhere to, especially when beginning a new project? No, I have no discipline. When I’m beginning a new project, I don’t need any, because I’m so excited to get to work that I couldn’t possibly procrastinate. And then later in the project, the procrastination usually serves a purpose — sometimes I’ll write myself into a corner and it will just take time before I can see a way out, and it won’t matter much whether I spend that time staring at the manuscript or doing something else entirely. My haphazard approach to the writing process has served me well up until now, in terms of finishing projects I start. The problem is coming up with ideas to begin with, and I don’t think any amount of discipline can solve that one. Your second novel, Normal People, is out in September. How did you approach writing this novel differently from Conversations with Friends? I started writing Normal People in the autumn of 2015, before I had finished work on Conversations with Friends. It’s hard to describe how different my approach was the second time — in some ways I was much stricter with myself, I wasn’t letting myself away with things that I would have before, but in another way I felt more relaxed, and less afraid of being laughed at, and I think that comes through in the book. What’s something that you’re thinking a lot about now, something that you hope to explore in writing in the future? I wish I could tell you. Between the end of 2014 and the end of 2017 I wrote two complete novels and several short stories, and since then I haven’t really written anything at all. I’m already pretty impatient to start writing fiction again, but I don’t know when that will happen — if ever. I’ve come to accept by now that the anxiety that I might never have another idea will be with me for life. What’s the Irish literary scene like? Who are some Irish writers who you think everyone should be reading? I think there’s a lot of interesting new writing coming out of Ireland at the moment. In my capacity as editor of The Stinging Fly magazine, I’m naturally reading a lot of new writing, much of it from Ireland, and I’m very encouraged by the quality of submissions we receive. As to specific Irish writers — far be it from me to prescribe something “everyone” should read, but I am a huge fan of Lisa McInerney’s novels The Glorious Heresies and The Blood Miracles. I can’t wait to read what she writes next. What’s the last book you read and loved? I finished The Portrait of a Lady on a flight from New York to Dublin last month and burst into tears at the end. I think everyone else on the flight was sleeping by then, thankfully.